The adults seeking to find out about the Catholic Church through the Rite of Christian Initiation of Adults (RCIA) have been continuing their journey begun last year with a period of learning more about the word of God, the teachings of the Church, the community, prayer and apostolic works of service for others. A few weeks ago, we celebrated the Rite of Sending during which the Saint Anne community pledged its prayers and support and formally sent the Candidates for the Call to Continuing Conversion by the Cardinal at Holy Name Cathedral. Last Sunday, March 17th, the group embarked on the period of purification and enlightenment with this Celebration. Cardinal Cupich presided over the inspirational prayer service at the Cathedral and greeted every Candidate during the service. A milestone in the RCIA process, the Church formally ratified the Candidates’ readiness to be received into full Communion with the Catholic Church. 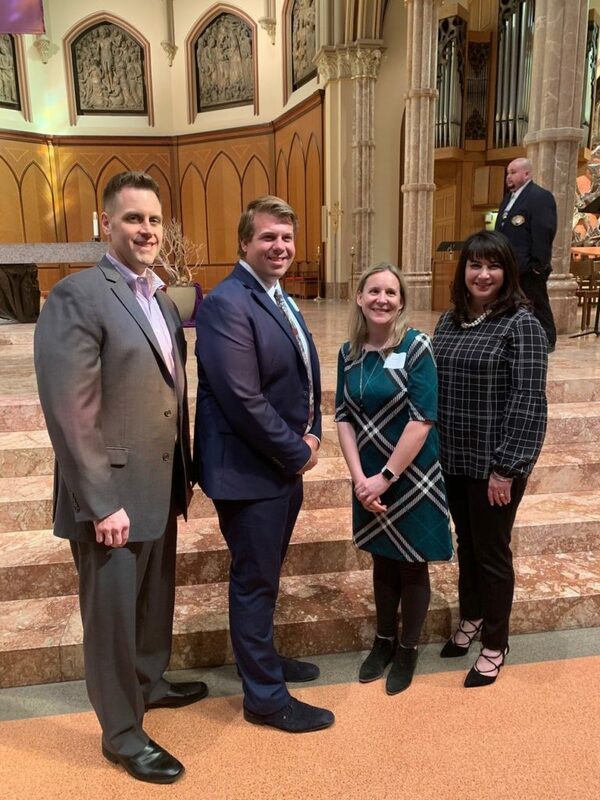 The prayers of the Saint Anne community will continue to be with the Candidates, Greg Banks and Heather Tomei, as they continue on their faith journey with God and the Church!